Abies concolor 'Hexe' is a dense, dwarf selection of White fir that grows wider than tall with gray-Blue foliage. Typical rate of growth in most areas is 2 to 3 inches (5 - 7.5 cm) per year making a mature plant 24 inches (60 cm) tall and 36 inches (90 cm) wide in the form of a squat pyramid after 10 years of growth. This cultivar originated as a witch's broom found in 1977 by Günter Horstmann, Scheverdingen, Germany. 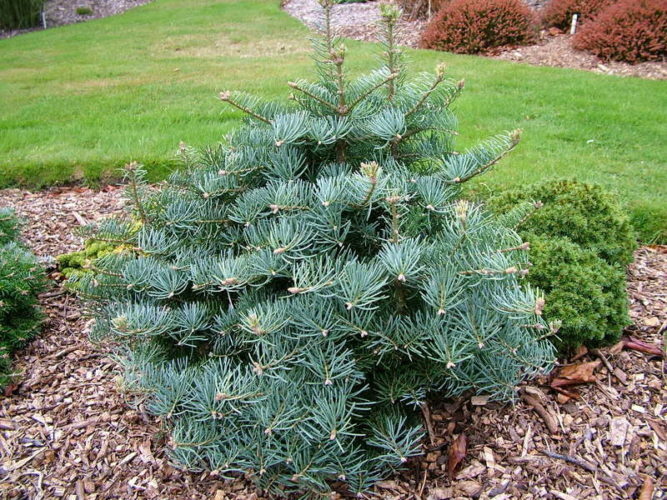 Abies concolor 'Hexe' in a private garden in the United Kingdom. 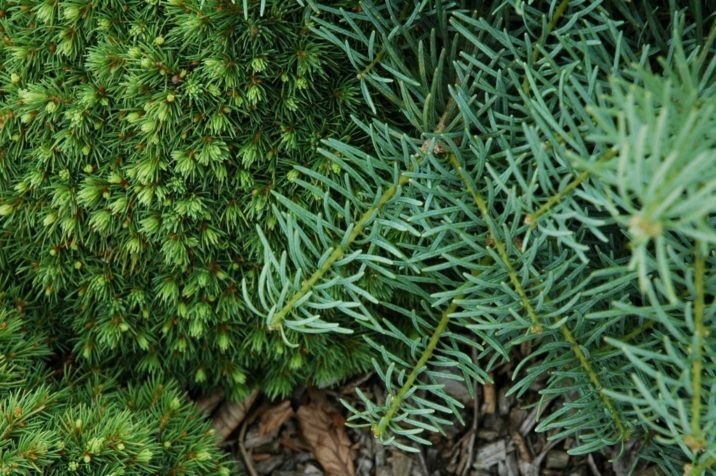 Abies concolor 'Hexe' — a closeup of foliage detail.